Merci beaucoup for visiting Fleur de St. Louis! 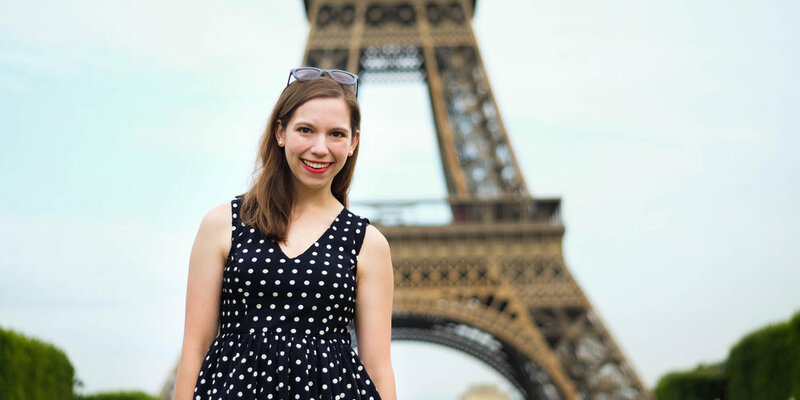 I am excited to connect with you and share my adventures in France. Bonjour! My name is Lauren and I am from St. Louis, Missouri. I have been passionate about French language and culture since I started studying French at 11 years old. In my twenties, I am in the process of cultivating and creating a life I love. My passion for all things French has been very much a part of this pursuit. I started Fleur de St. Louis in March of 2017. My original vision: to allow wellness, learning, and creativity to flourish with a little French flair. You can still access my first year of content here. As I grow, my vision for this space is also evolving and it felt like the right time to refresh with a new focus. Bienvenue to the new home of Fleur de St. Louis that is dedicated to my next chapter: a school year living abroad and teaching English to primary students in Amiens, France. After taking many small steps, every day, over time, I have arrived at the opportunity to live my dream. It is here that I will share my French adventure with you. My hope is that this continues to be a community that inspires growth on a journey to live life to its fullest. Warm wishes from me to you!